The Academy for Precision Learning is a K-12 school dedicated to the success of all students - including typically developing and those across the autism spectrum - learning within an academically challenging and socially vibrant environment. APL looks to apply data-informed practices to help each student achieve their greatest potential. APL uses high quality, data driven approaches - including Direct Instruction, Applied Behavior Analysis and Precision Teaching - to create individualized learning plans specifically designed for each student. APL is dedicated to ensuring student's success through accelerated academic progress, social development, unique and tailored enrichment opportunities, character building and community involvement. 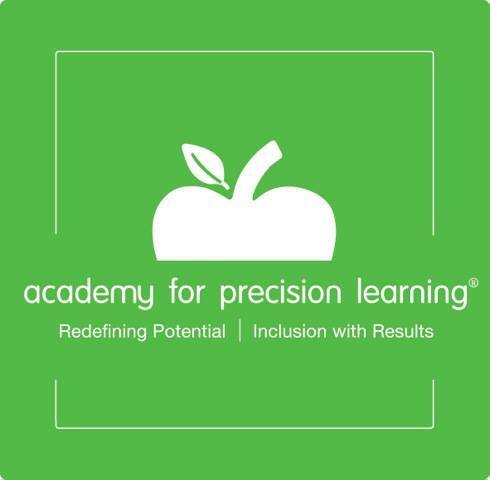 The Academy for Precision Learning is a K-12 school that provides a nurturing, inclusive, and individualized learning experience for neurodiverse students. APL offers targeted opportunities that promote the academic achievement and social development of students who benefit from a smaller, supportive learning environment. Students are engaged in developmentally appropriate, data-informed, individualized experiences that put them on a path to achieving their greatest potential. APL meets their students where they are at, supporting each student to build on their unique strengths to become a curious and engaged life-long learner who celebrates diversity, practices self-advocacy, and generates impact in their community.